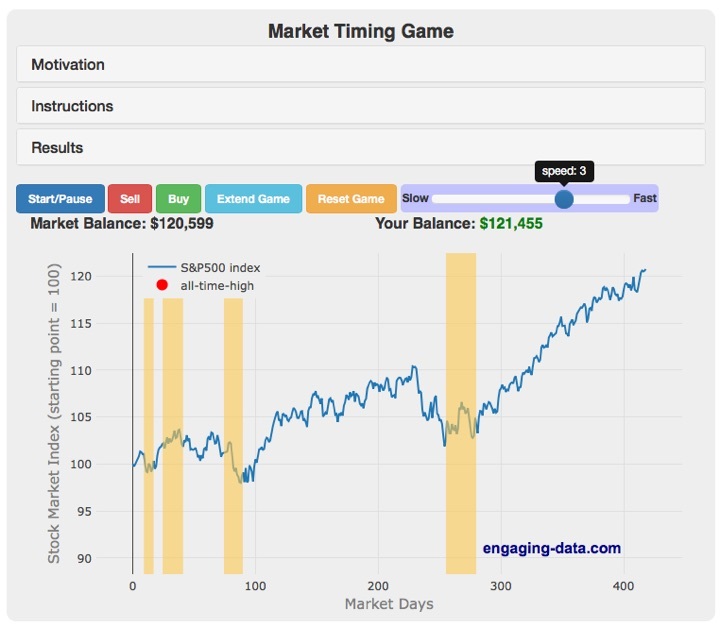 Here’s an interactive “game” at Engaging-Data.com where you can test out your stock market timing skills based on actual historical returns. You’ll be given a randomly-selected 3-year period of the S&P 500 from 1950-2018. You start out fully invested, but you can sell or buy at any time. The simulator tracks your returns vs. just holding on through the entire period. Can you consistently pick the right times to jump in and out? 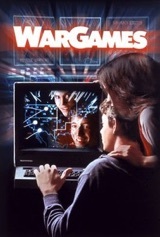 I like the WarGames reference. The only winning move is not to play. While the game is interesting, I think a crucial thing missing is the emotion of the moment. (Not that this is the fault of the programmer.) In my experience, casual investors tend to get caught up in market timing due to one of two emotions: the fear of missing out (FOMO), and the fear of losing everything. The housing bubble was all about FOMO. The “smart” move was to get on that property ladder at any price, with any time horizon, with any loan terms. Then in the 2008 stock crash, I was getting every variation of the “why not sell and wait for the dust to settle???”. The “prudent” move became sitting it out. As of early 2018, things have been pretty comfortable for while, and “buy and hold” looks both smart and prudent again. I think buy and hold is a valid strategy, but simple is not easy. It will be hard again soon enough. When the next crisis eventually occurs, I hope that I can be a boring example of buy and hold. In the meantime, hopefully this game will at least keep you on your toes.